I hope you’ll buy, read, and enjoy my book. The price is $14.95 plus $3.50 shipping. (VA residents, add .75 cents VA Sales Tax) Your remittance is payable to me at P.O. Box 415, Fancy Gap, VA 24328. If you buy my book, slide in the passenger’s seat beside me and we’ll head out on another WILDERNESS PATROL. 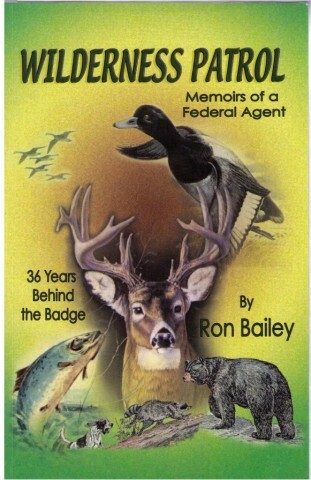 Ron was an Ohio State Wildlife Enforcement Agent before entering the federal service. His book relates case stories of both his state and federal careers.